Win TERA Rising's Slepinir Mount And Arkai Masks From ShockYa! Win TERA Rising’s Slepinir Mount And Arkai Masks From ShockYa! PC game “TERA Rising” has just been released and it already has accolades such as being named “Best PC Game” at E3 and “Best Combat” game at PAX. In support of the game’s release, ShockYa has been given some gaming codes to give away! 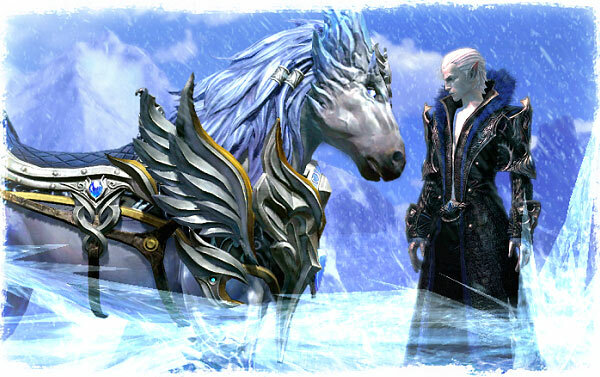 The grand prize will be the code for a Slepinir Mount and two runner-up winners will receive one Arkai mask each. To enter, follow us @Shockya and tweet the phrase, “@Shockya is giving away TERA Rising codes! Follow and RT to enter!” You have until March 1 to enter; you can tweet us every day until the end date, and then we’ll choose the winners via Twitter DM. Good luck in the contest! You can download “TERA Rising” by going to EnMasse Entertainment’s official “TERA Rising” site. To see more of the game, check out the description and trailer below. “TERA Rising takes the fight beyond whack-a-mole monotony with enhanced aiming, dodging and tactical timing to create intense and rewarding combat. The recipient of multiple industry accolades, including ‘Best PC Game’ at E3 and ‘Best Combat’ at PAX, TERA Rising gives players the best of both worlds: MMO depth with visceral action combat. Win The Package Blu-ray/DVD Combo Set From ShockYa!